There are few events in life more challenging than dealing with a divorce or the end of a relationship (married or not). How you process what you are going through is extremely important in determining how well you and your kids, if you have any, will recover from it. There are often feelings of anger, betrayal, resentment, abandonment, fear, and worry about the future all mixed up with financial concerns. Dealing with all this, plus attorneys, sorting out where the kids are going to live, and the stress of relocating to a new home can be overwhelming and frustrating. This is a traumatic, stressful time, and it can help to have someone to talk things through with, to help you examine your ideas and think through choices and decisions about your future. Perhaps you need help finding the strength to do what you need to do to make yourself whole again? Maybe there are just too many things on your plate at once and you need help sorting through the mess, prioritizing and strategizing. These are exactly the things I am trained to help you deal with. Picking up the pieces is one thing--re-assembling them into something new, stronger, and better than before is something else entirely, requiring a specific skill set to ensure an optimal outcome on the other end. What I am talking about is cultivating resilience. I am trained and experienced in exactly this, specifically in dealing with divorce and changes or life events. I would be honored to help you deal with the challenges and changes you are experiencing. And frankly, I'm excited. I invite you to click here to contact me. Let's discuss what your future will look like. Supervised by Anna Gershelis, Ph.D., LCSW. 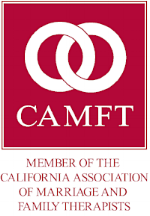 All content copyright ©2015-2019 Matthew McLean, except for logos of entities such as CAMFT, or as noted here.